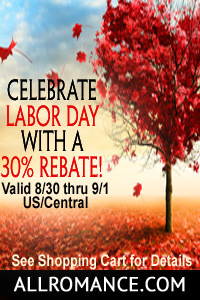 This weekend AllRomance/OmniLit has a 30% rebate on all "crown" icon books. This includes all of our titles. Shop now and get 30% back in ARe Bucks. Phaze Books - 30% off! Mundania Press - 30% off! Hard Shell Word Factory - 30% off!